With a ton of top stars set to hit free agency this coming summer, it’s going to be a long few months around the NBA rumor mill. More than likely to test free agency, two-time reigning NBA Finals MVP Kevin Durant is going to be the prized piece. 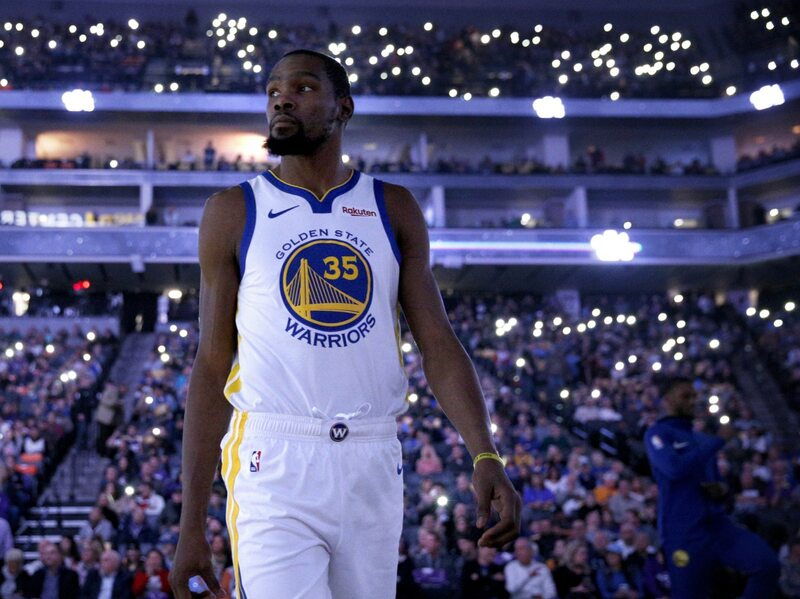 Despite what reality tells us, rumors continue to persist that Durant will bolt the Golden State Warriors’ dynasty for a new NBA city. Following the New York Knicks’ trade of Kristaps Porzingis, this has been taken to a whole new level. Durant has previously made it known how much respect he has for the New York Basketball scene — Madison Square Garden and Rucker Park included. In no way does this mean, the Knicks’ franchise is prepared to steal him away from the two-time defending champs. Apparently, that has not stopped some from within the Warriors’ brass to worry that KD could in fact bolt for the Big Apple. The good news here for Warriors fans is that the team’s brass has noted that it will do everything possible from a financial perspective to retain its core group. And Durant himself has indicated that finances will indeed play a role in his free-agent decision. Golden State can offer him more than any other team in the NBA.